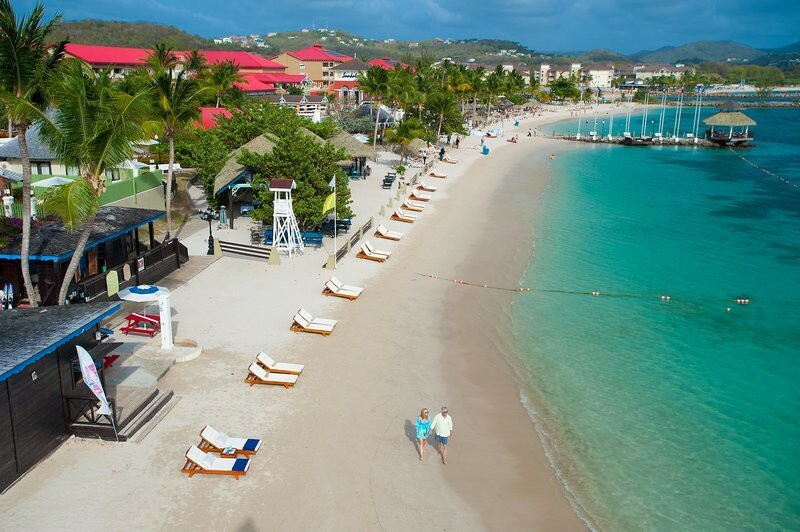 Flanked on both sides by the brilliant blue waters of the Atlantic, Sandals Grande St Lucian Spa & Beach Resort is among the most beautiful resorts in the Caribbean. With its stunning panoramic views of volcanic mountains rising from the calm surrounding seas, this Luxury Included? 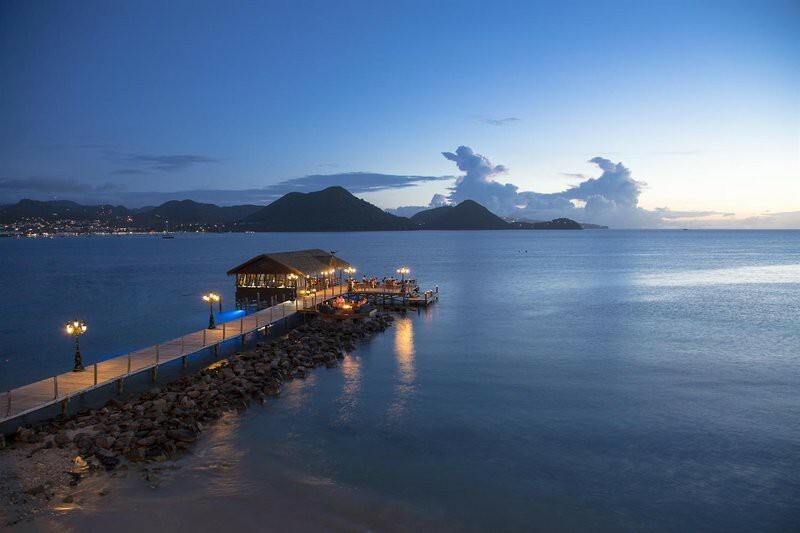 resort will take your breath away. You can enjoy cocktails in the opulent three-story lobby, take a dip in the exotic lagoon pool, or enjoy a romantic moment in the heart-shaped beachside pool.\n\nAll rooms in the resort are tastefully decorated and luxuriously furnished, with a king-size, four poster mahogany bed and a private balcony or patio overlooking the ocean. The more exclusive suites also feature whirlpool baths and private plunge pools, as well as the Sandals personal Butler Service, where your personal, fully-trained butler will be on hand to take care of your every whim and desire throughout your stay.\n\nThe facilities and services at this resort offer everything one would expect from a premium luxury resort. 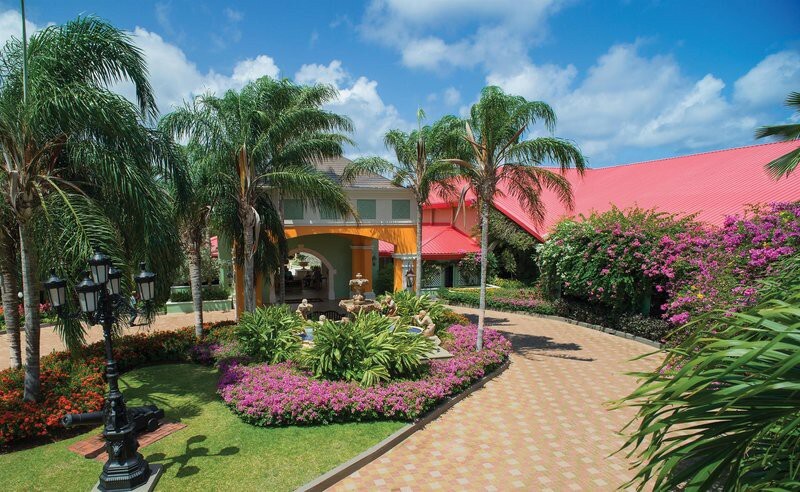 A wide array of sporting facilities are available, including a fully-equipped fitness centre, tennis courts and both beach and pool volleyball, and green fees at the nearby Sandals Regency La Toc Golf Resort & Spa are included. There are also opportunities to try out a huge range of water sports, or to take advantage of the extensive scuba diving program and explore the nearby coral reefs. Or if you're in the mood for something more relaxing, why not enjoy a massage in the on-site Red Lane? Spa, or enjoy a refreshing drink in the energy pool with its swim-up bar.\n\nAfter the sun goes down, you'll still find plenty to entertain you. 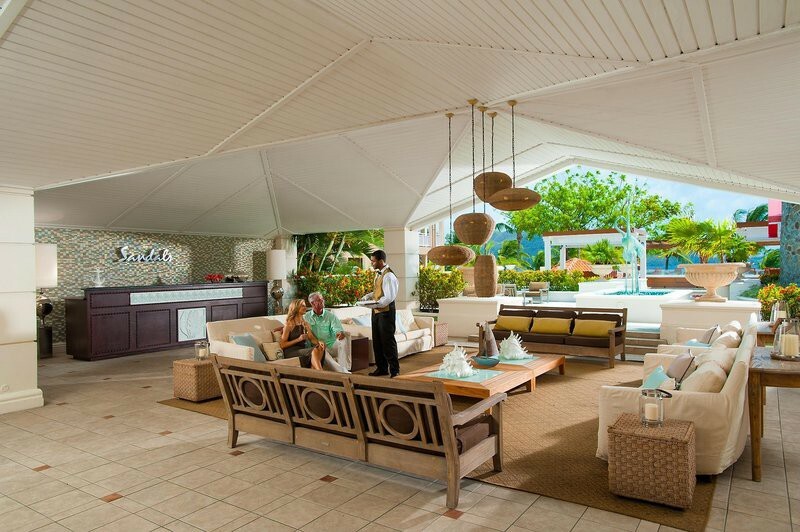 There are eight restaurants on site to choose from; offering both local Caribbean dishes and a range of international cuisine, and the varied nightly entertainment at the resort's numerous bars takes in everything from fire dancers to casino nights and karaoke.